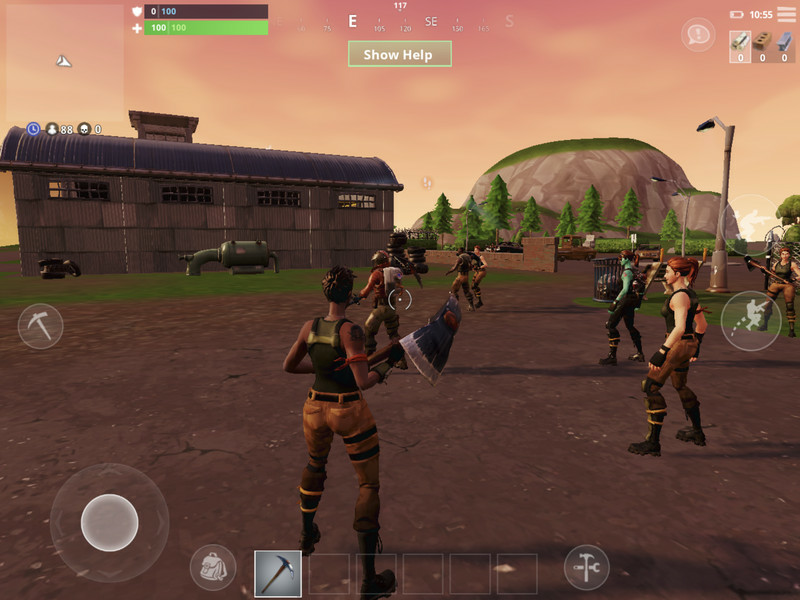 I play Fortnite on both a high-end gaming PC and the Xbox One X, but I’ve been shocked at how well it runs on my iPhone X. I installed the invite-only Fortnite app for iOS on both an iPhone X and iPad Pro last night, and I’ve been playing across them to get a better idea of the mobile experience. Fortnite’s big competitor, Playerunknown’s Battlegrounds (PUBG), is also coming to iOS and Android soon, along with the Steam survival game Ark, marking a new trend of big PC games arriving on mobile. Fortnite runs very smoothly on the iPhone X, with barely any framerate drops. Unlike its main rival, PUBG, Epic Games’ Fortnite is highly optimized on other platforms, so it might not be too surprising that it runs well on mobile. Still, running a PC or console game on a tiny phone is very impressive. It’s around 2GB, which is a reasonable download size for this type of mobile game, and the cartoon-like graphics clearly help Fortnite run well on mobile and adapt to the smaller screen of an iPhone or iPad. The only warning over performance I’d give here is that I’m running it on the latest iPhone X hardware. I’ve seen some reports that older devices don’t handle the game so well, and my iPad Pro with an A9X processor didn’t run nearly as well as my iPhone X. Those issues could be resolved by the time Fortnite is available to all iOS and Android players, though. 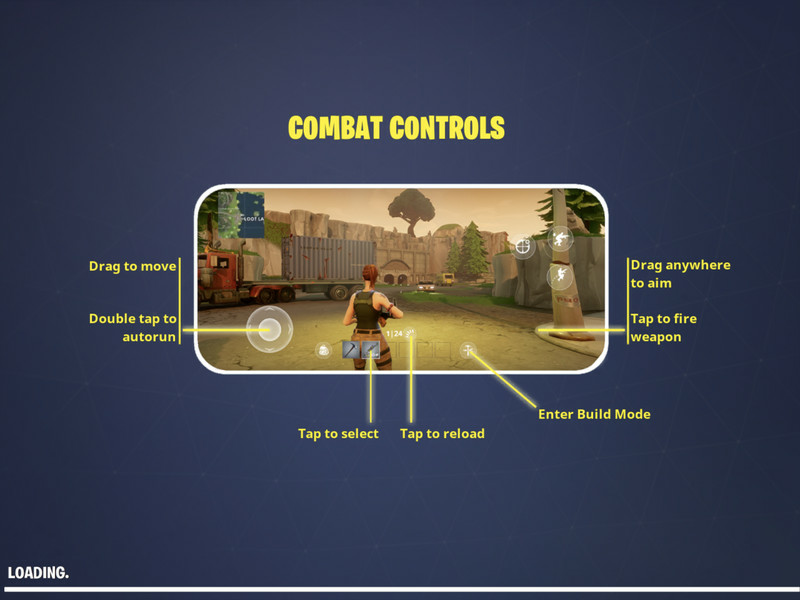 Controls are obviously the most important aspect of playing Fortnite on an iPhone; replacing a gamepad or mouse and keyboard with a touchscreen is usually a recipe for disaster. The game adapts by placing on-screen virtual buttons for ducking, jumping, and selecting items or building. There’s also a joystick for navigation, but you can mostly slide your left thumb around to move, and use your right thumb for aiming. The controls are a little clunky at first, especially for aiming or building, and I’ve found myself walking backwards a lot to avoid obstacles. That said, they work far better on an iPad with the larger display. You can also double-tap on the joystick to autorun and control the direction with your right thumb. Aiming is a little awkward thanks to a new aim button that zooms in when using guns like sniper rifles. This is where it gets particularly challenging to aim at moving players, especially without the speed or maneuverability of a mouse or controller. That’s okay if you’re playing against fellow mobile players, but it could be an issue once cross-play is enabled for mobile players to take on console or PC gamers. Cross-play matchmaking is coming at some point in the future, but aiming from a distance is going to be difficult on mobile either way. Controls aside, it’s surprising how similar this game is to the PC or console versions. It’s the same Battle Royale mode — that’s all you get on the mobile version right now — where 100 players fight to the death on a map that shrinks over time. There are some subtle differences alongside the obvious control changes, though. Fortnite on iOS includes visual indicators for nearby gunfire and footsteps of enemies. This is particularly useful if you’re playing without headphones and you don’t want to blast the sound of gunfire out to your fellow commuters in the morning. A white on-screen indicator appears when you get close to another player, and a red version shows the direction of gunfire. All of these changes make the game fun to play on mobile, rather than giving you the feeling of running around endlessly in a big eye of the storm hunting for other players while your thumbs grow weak. There’s no controller support yet, but Epic Games has hinted this will arrive in the future. I’d really like a Nintendo Switch version, though. Despite getting a later start, Fortnite is growing massively in popularity, becoming a true competitor to PUBG. 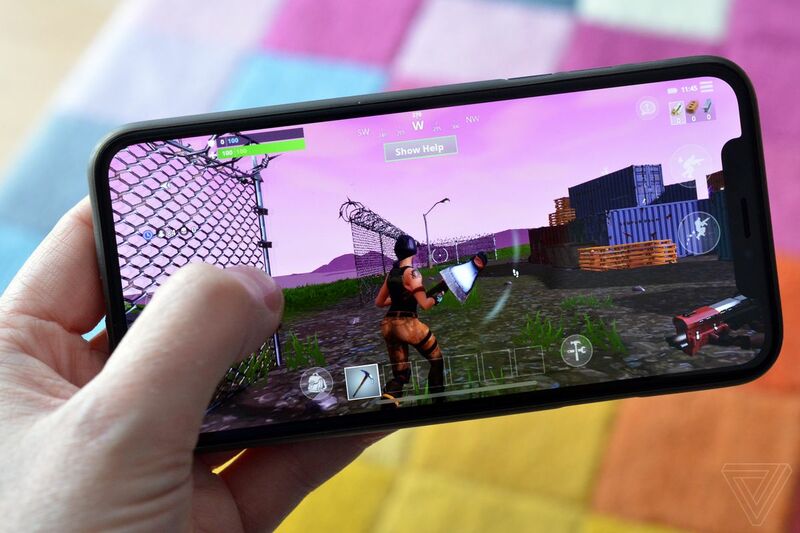 Epic Games has managed to optimize its game engine very well across all platforms, which is helping the company move to mobile rapidly. Fortnite is also free-to-play and available across PC, PlayStation 4, Xbox One, and now mobile, while PUBG is limited to PC and Xbox One in the West right now, with a mobile version out in China and due to arrive elsewhere. Once this new mobile version of Fortnite is available to everyone, we’re bound to see some fun footage of phone players taking down PC opponents. It feels like this, alongside mobile PUBG, could be turning points for the future of mobile gaming. If it’s successful, maybe we’ll even see Drake dropping into Twitch from his phone to break some more records.